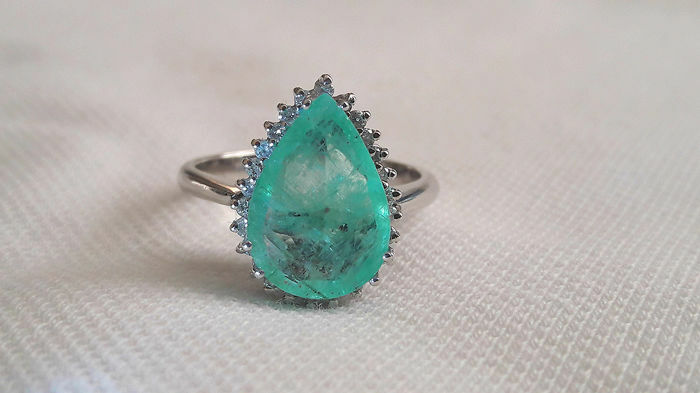 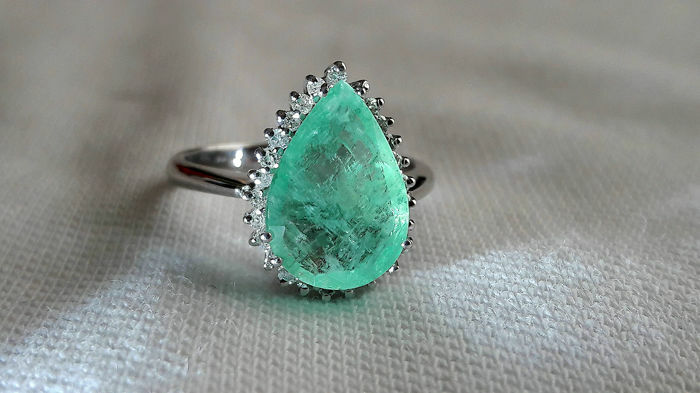 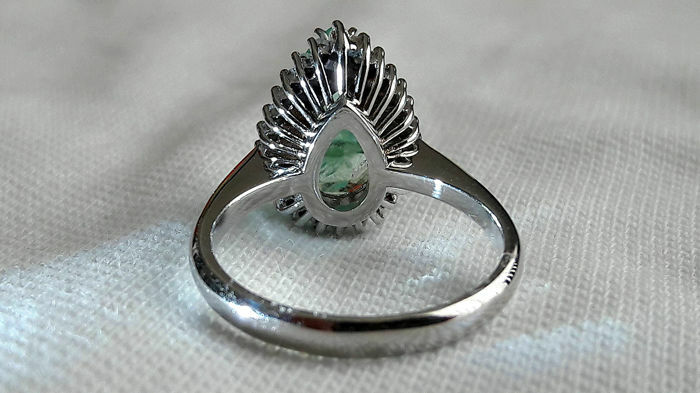 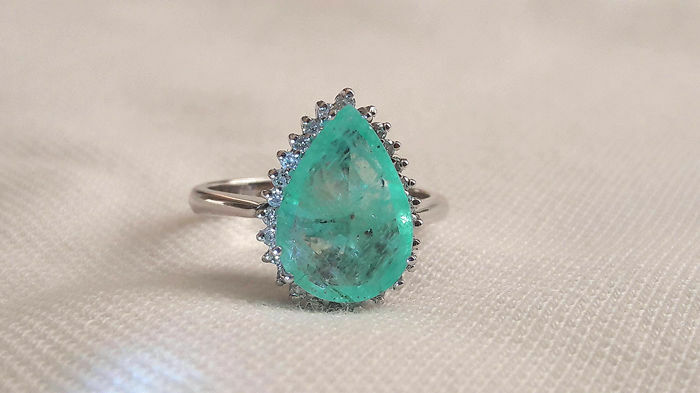 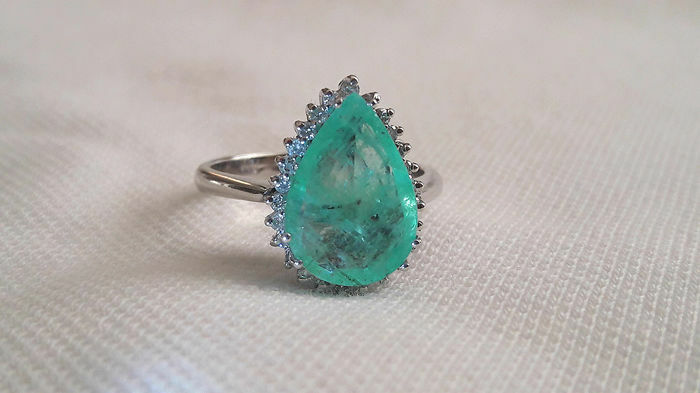 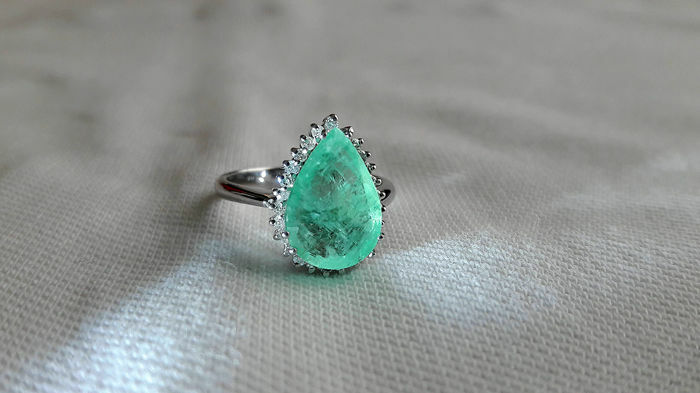 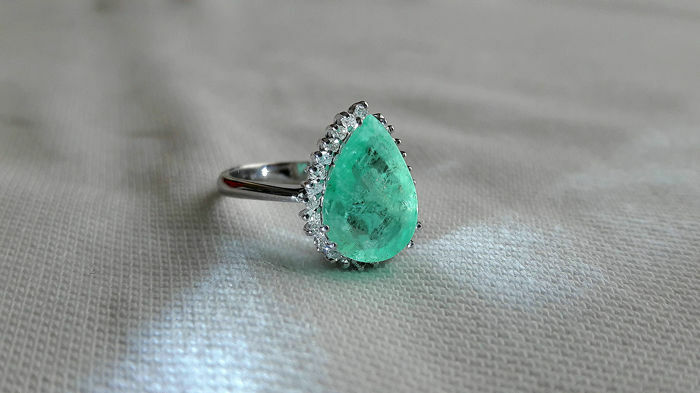 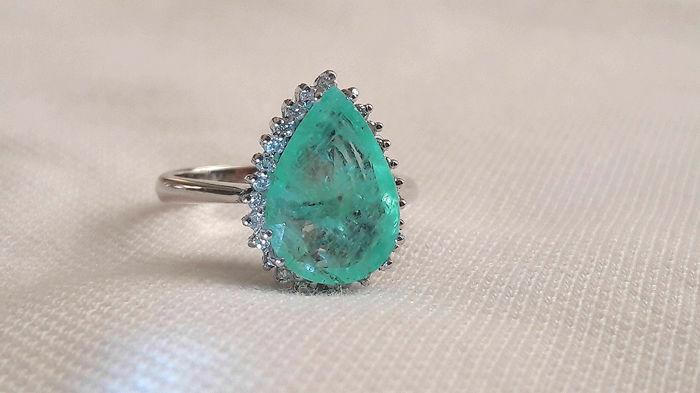 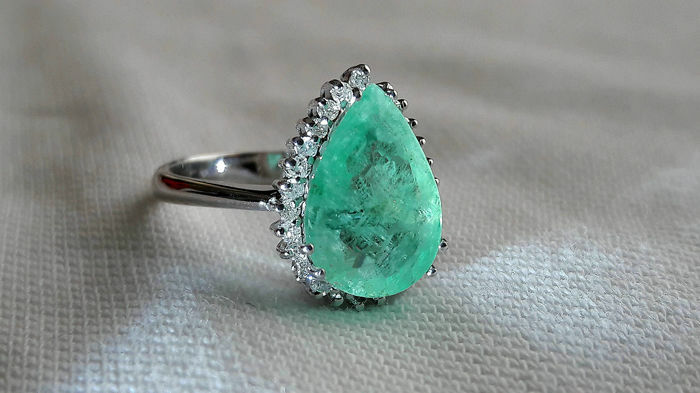 18 kt white gold ring with 2.75 ct emerald, light green colour - pear cut. 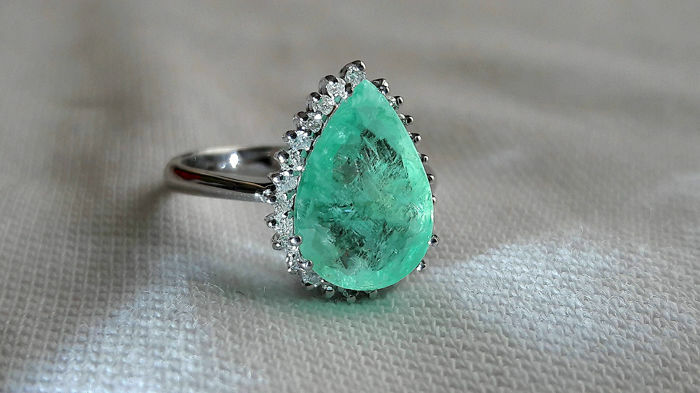 The emerald is very transparent. 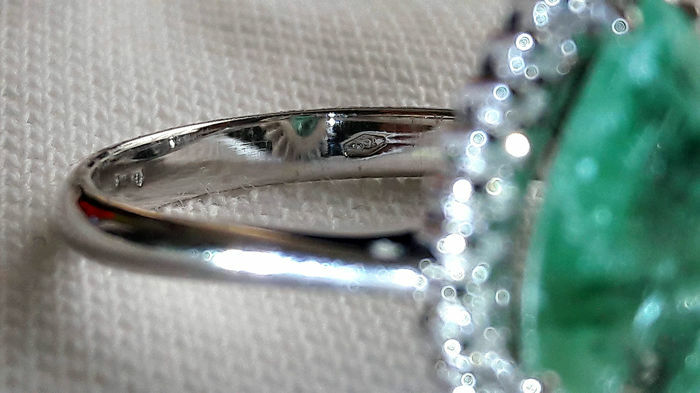 Twenty-six (26) x 0.01 ct diamonds for a total of around 0.26 ct. Colour G - Clarity VS, brilliant cut. 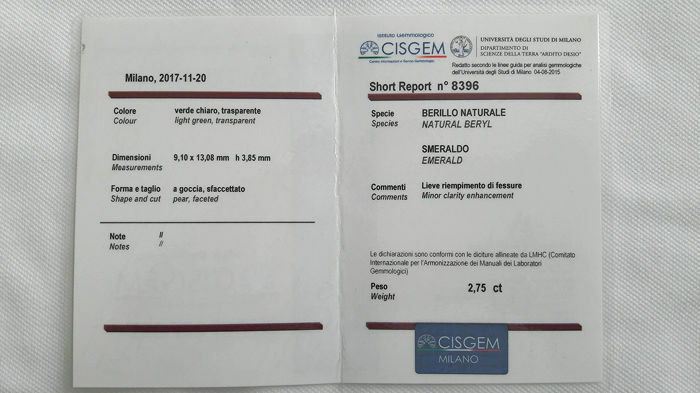 The emerald comes with a gemmological certificate issued by the CISGEM institute no. 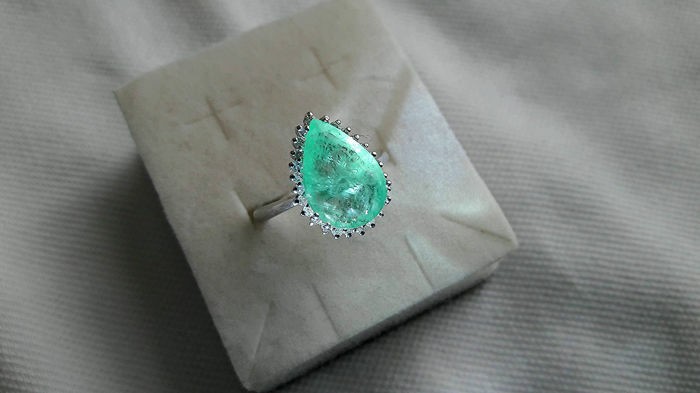 8396 which will be sent along with the ring. 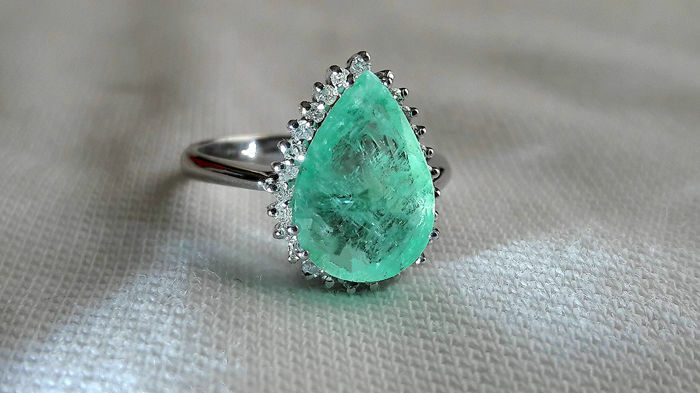 The emerald has only natural features and inclusions. 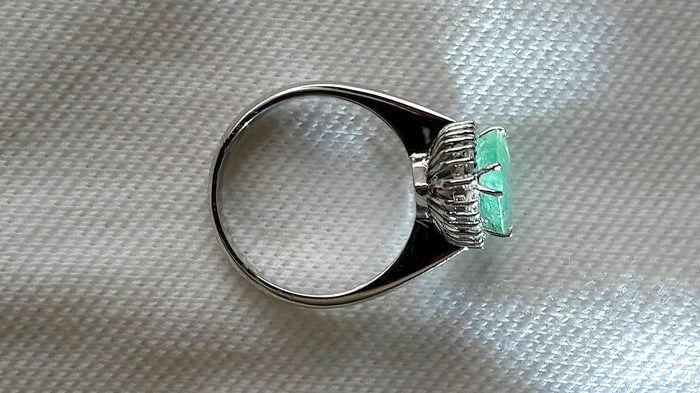 The ring is new, perfect and flawless. 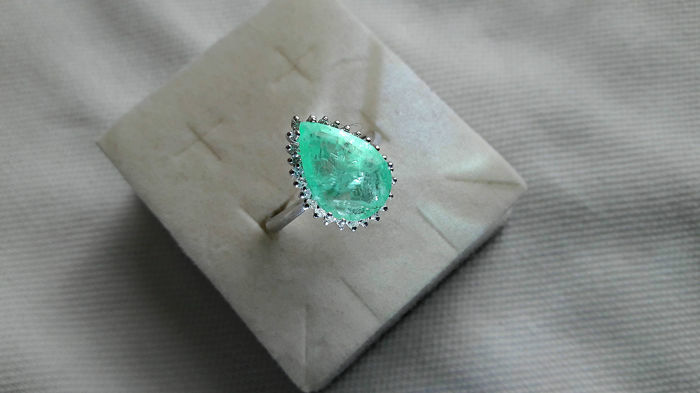 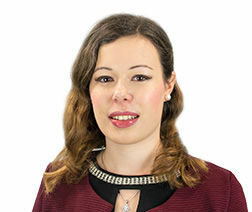 The item is polished, with no scratches or signs of wear, in excellent condition. 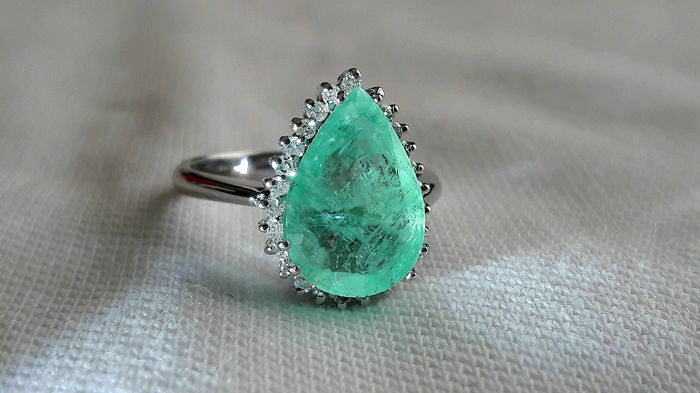 The photos were taken using a standard mobile phone.